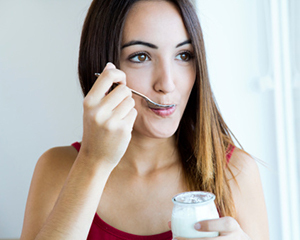 Is Eating a Soft Diet for Too Long After Oral Surgery a Problem? It is important that you eat soft foods after oral surgery. This simple practice allows you to do less damage to your teeth and mouth in general while it is recovering. However, is there a time limit where this is a safe practice? The answer is both yes and no. Yes, this is important to do for the right amount of time, but no, there is no steadfast amount of time that everyone must follow. It is up to your oral surgeon and how quickly your mouth heals after the procedure is complete. Your teeth need you to put pressure on them from chewing to keep them healthy. This stimulates the gums to remain healthy, plus, it also stimulates your jaw bone to remain strong and healthy. Without that stimulation, your jaw bone can weaken, and you can begin to weaken and this could harm your teeth. Without strong enough bones holding your teeth in place, they are going to begin to wiggle and will eventually fall out. Simply by eating only a soft-diet for too long, you can cause long-term damage to your teeth. Talk to your oral surgeon about how long is safe for you. They will be able to give you a rough idea based on the procedure that you are having done. Plus, they will also be monitoring your healing progress. They can adjust how long you should eat soft foods based on what they see in your mouth. Every individual is going to have different rules to follow, so make sure to follow yours. Don't risk the long-term health of your teeth by eating the wrong foods for too long after recovery. Make the switch to normal foods once you have the green light from your oral surgeon. If you have any questions, or if you would like to learn more, please call us today at (602) 842-4864.